On behalf of Admin of JML Law, A Professional Law Corporation posted in Wrongful Termination on Thursday, Oct 25 2018. Nothing compares to being told “You’re fired!” With your dream shattered, you are entering a chapter of uncertainty, depression, frustration, and countless sleepless nights spent applying for new jobs, doubting that you will ever be able to get a new job, and tossing and turning thinking about why you were fired in the first place. If this sounds like you, it is probably too late to preserve a wrongful termination claim at this point, and it probably makes more sense to get a free consultation from a Los Angeles wrongful termination attorney to find out your best course of action if your firing was unlawful and illegal. If you feel like you are on the brink of losing your job or fear that you might get fired soon, this guide will definitely come in handy. 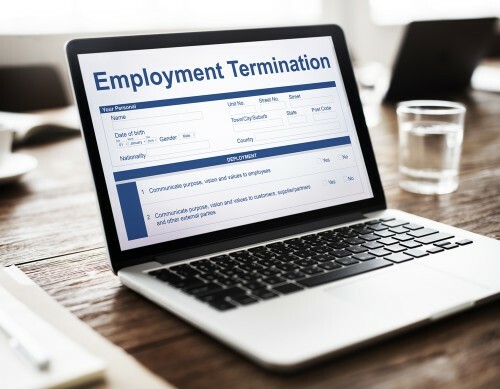 As you may or may not know, the best way to preserve a wrongful termination claim – or any other claim, for that matter – is to make a complete record of it. Meaning: the more evidence and records you can collect, the better. Do not be afraid to make a record everywhere. Do not be lazy to record relevant events in your daily journal or notes. Take screenshots and copy the emails you receive from your employer or supervisor. Report problems to your supervisor or employer (preferably, in the written form). I know what you are thinking. “It’s best to stay away from reporting or being too noisy, because that’s what leads to firing in the vast majority of situations!” Wrong! Although by reporting problems within the company you do assume the risk of getting fired, by doing so you also automatically increase your chances of winning a wrongful termination claim if you actually get fired. After all, if you never formally report a problem, and rather choose to communicate the problem orally, and get fired over it afterwards, how do you expect to prove that your employment was terminated over this particular matter (or that you ever reported the problem in the first place)? “Failure to preserve a wrongful termination claim while you are still working for the employer is the biggest mistake you can make,” warns our experienced wrongful termination attorney in Los Angeles at JML Law. So how do you preserve a wrongful termination claim in California? The answer is so simple that it will most likely surprise you. Lose fear, not yourself. Fear is the most common factor preventing employees from taking action or reporting problems in their company. If you voluntarily quit your job because you are a victim of discrimination and harassment due to your sexual orientation, who do you expect to win a wrongful termination claim? If you fear to complain to your supervisor that only men get promoted, how do you expect to stop your employer from discriminating against women if you never complain? Do not let fear control you. Keep emails. It is highly advised to take screenshots of the emails sent to you by your employer, especially those received in response to your complaints. If you get fired, your employer might restrict your access to your work email, which is why you might never be able to show these emails in the courtroom. Evidence is good, witnesses are even better. While keeping records and evidence is a fundamental element of any successful wrongful termination case, witnesses can also help you prevail in court. Not sure how to keep track of records properly or get witness accounts to win your case? Consult with our lawyers at JML Law. Schedule a free consultation by calling at 818-610-8800.